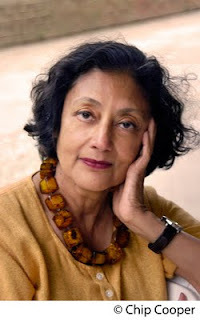 Bharati Mukherjee, author and professor, needs little introduction. Her award winning works have enthralled many readers for several decades. Originally from Calcutta, she received her M.F.A. from the Iowa Writers' Workshop in 1963 and her Ph.D. in 1969 from the department of Comparative Literature. She has taught at several prestigious Universities and is currently a Professor at the Department of English at the University of California in Berkeley. 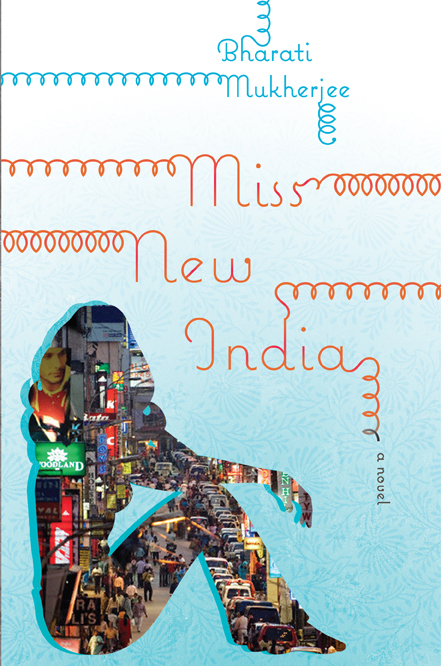 Her latest book Miss New India, about call center outsourcing and the struggles of one young woman to fit into a new transforming society in Bangalore, has been getting rave reviews from critics worldwide. 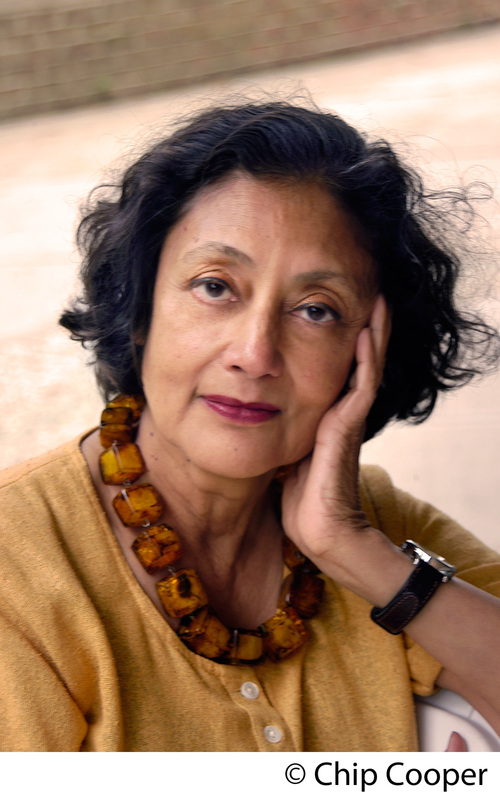 Suprose is honored to present this Tête-à-Tête with Bharati Mukherjee. 1. How did MISS NEW INDIA come to be? There’s hardly a moment when I’m not seeing a story in real-life incidents swirling around me and in conversations I overhear. Because I never mastered the art of driving, I’m a veteran user of public transportation. My “failing” as a driver has happy consequences for me as a writer. On buses, street cars and BART (the rapid transit system I take to travel between San Francisco where I live and Berkeley where I teach), I am surrounded by, and drawn into conversation with, large numbers of fellow-riders. I can’t help imagining the life-stories of people with whom I have such chance encounters. MISS NEW INDIA came to me as far back as 2004 as I was getting a credit card activated over the phone. “Outsourcing” was in its early stage, and at that time several U.S. companies that outsourced routine customer support functions insisted that their overseas call-center agents, who were non-Americans sitting in cubicles in mid-sized towns on a distant continent, not disclose their location to U.S.-based customers. The call-center agent who processed the re-activation of my credit card identified herself by a common two-syllabic Anglo-American first name, and spoke idiomatic American English with an accent that I recognized as Indian. I felt an affinity because she sounded Indian. But when I asked her if she were talking to me from India, she did her best to pass herself off as a U.S.-based American. I am an immigrant who writes about immigrant identities in flux. I couldn’t help but be intrigued by the identity-role-playing required of this call-center employee. Throughout the rest of the decade, on family visits to Bangalore, in Karnataka State, as houseguest of a first cousin, I met many men and women associated with different aspects of “outsourcing” as it was—and still is—playing out there. I watched, fascinated, the Bangalore I’d known in my post-Independence girlhood as a quiet “cantonment town” swell into a booming IT-“hub city.” The urban contours of Bangalore are constantly changing as IT-related industrial parks swallow adjoining rural land; the population, by last count, has grown to 8.4 million as job-seekers move here from the less prosperous states where they were born. The economic consequences of the vast influx of foreign investment are too obvious for anyone—whether one is pro- or anti-globalization—to miss. But as a novelist, what intrigued me from the outset were the tsunami-sized psychological and social transformations brought about by this massive “internal migration.” What yearnings prompt a lower middleclass young woman with middling education to abandon home and test herself in an alien city? How does such a woman cope with the opportunities and temptations she encounters in her adopted hometown? Once I had imagined in detail the character of Anjali Bose, who would be the protagonist for the coming-of-age (of both the migrant Anjali and her nation) novel that I was burning to write, I made research “field trips” to Bangalore, visited relevant sites, and conducted interviews with people associated primarily and tangentially with “outsourcing,” and with emerging niche professions (such as faculty specializing in the teaching of call-center etiquette and transcontinental customer-handling as well as American culture and fluency in American English). 2. What is it about fiction writing that you love the most? I love every phase of the writing process. There are so many ideas for novels, and characters, jostling each other in my head that part of the pleasure is discovering which character speaks to me with the most urgency and intimacy. While I am writing a story or novel I actually “inhabit” the lives of my characters. If I have to just choose one aspect of writing as my most favorite, it’s the draft-by-draft “thickening” process—the sinking deeper and deeper into the characters’ emotions; understanding better what causes them to hurl themselves into the adventures they do; recognizing, and if necessary strengthening, the aesthetic patterns already hiding under the draft’s surface. 3. Do writers need an MFA to become successful writers of prose? No, of course not. MFA programs, however, do provide an inspiring community of fellow writers, who are canny readers of literature and providers of constructive reader-responses during workshop discussions. And if the MFA program provides sufficient scholarship money or teaching assistantships, the student writer can concentrate on completing the book-length project that will be the MFA thesis without having to work multiple, exhausting jobs to pay rent. 4. Low residency MFAs are becoming quite popular in today’s fast-paced world. What are your thoughts on how these compare to a traditional MFA? The purpose of reading and writing good literature is to slow down the frantic pace of daily life, and transport us into moral and emotional planes we avoid in life. I don’t think “today’s fast-paced world” is the main reason for the popularity of low-residency programs. They are popular with writing students who have to hold down jobs, who cannot afford the time and the expense of a full-residency two or three-year MFA program. I’m very happy that there are increasing numbers of excellent low-residency programs. I don’t know what the on-line teaching load is like for faculty in these programs. 5. What and who do you like to read? For pleasure, then for inspiration? I receive a lot of galleys. And I buy a lot of books. I can’t bear to part with any of my books. I have wall-to-wall bookshelves in every room and every hallway. I am interested in non-fiction as well as fiction. The most recent non-fiction book I read for pleasure is Doug Saunders’ Arrival City, and in fiction Clark Blaise’s The Meagre Tarmac, a collection of linked stories about Indian immigrants in North America. For inspiration, I keep the works of Flaubert, Hawthorne, Conrad, Chekhov, Babel, Shakespeare, within easy reach of my desk. I don’t have to open any of these books to be inspired by them. 6. When you feel you have hit a “writer’s block,” do you use any tools/exercises to break out of it? I don’t have writer’s block. My problem is having too many ideas for stories and novels, and not enough time to write. I’m amused when an undergraduate creative writing student comes to me for help with his/her “writer’s block.” I tell such a student to look at the ‘police blotter’ section of a newspaper, select a criminal incident, and write beginnings of stories from at least three distinct points-of-view of persons connected with that incident. My hope is that in taking up this assignment, the young, not-yet-prolific writer will get outside his personal experience and explore an imaginative space. 7. What else inspires you to write? I write to create ideal worlds; I live to realize them. 8. What are your thoughts on e-readers? Do e-readers and e-books change the way books are perceived? I’m glad that there are e-books as well conventional hardcover and paperback books. Availability of literary works in any form is gratifying. If the particular work of fiction has the capacity to move us, our experience of reading it and being transformed by it should not be diminished by its e-delivery. I happen to like scribbling in books. I like the feel of yellowing pages. Some of my favorite books are so battered that I have to tape the spine with adhesive tape. I expect that in future actual books, given the cost of book production, storage and distribution, will become prized artifacts.